Highland Community College along with other community colleges across the nation is recognizing the month of April as Community College Month. 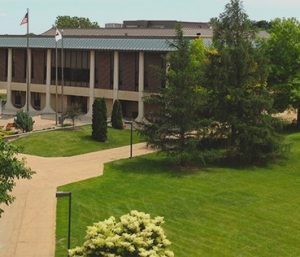 Community colleges, like HCC, are places of discovery that help students pursue, shape, and help realize their dreams as they aspire to higher learning. Whether students are pursuing a two-year degree to enter the workplace or planning to further their education with a baccalaureate degree at a four-year college or university, attending a community college creates a foundation for a successful future. In fact, recent studies indicate that community college students who transfer to four-year schools are more likely to graduate than students who enrolled directly out of high school. Highland Community College is a great way to get a quality education at an affordable rate; figure out personal and professional goals; experience personalized attention from instructors in smaller class sizes; take college-level classes while still in high school; earn credit for prior learning for military and veteran students; and explore curricular and extra-curricular interests. April is the time to recognize and spread awareness of the hard work and achievement happening at Highland. According to the American Association of Community Colleges, there are more than 12 million students enrolled at community colleges across the country, with a diverse student population. Highland currently serves around two thousand students by offering 23 Associate Degree Programs and 23 Credit-bearing Certificates. For information about opportunities at Highland Community College, visit highland.edu.